Anyway, my reason for writing this post is not to share every parenthetical thought that pops into my peculiar brain. It is to share that I'm going to use this blog entry to keep track of Best of lists. I hope you'll find it useful. Colby Sharp and I announced our Mock Caldecott list on November 1. I shared this list on November 3. 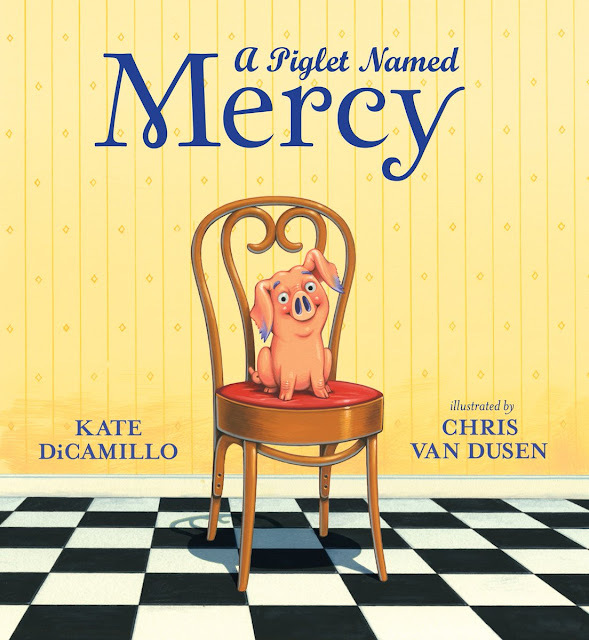 Publishers Weekly divided children's books into three sections. 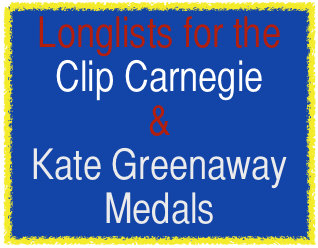 The longlists for the Clip Carnegie and Kate Grenaway Medals were announced on November 5. The shortlist will be announced on March 19, 2013. 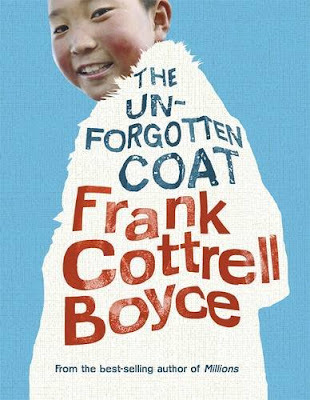 Frank Cottrell Boyce won the Guardian Children's Fiction Prize for The Unforgotten Coat. The Unforgotten Coat. Written by Frank Cottrell Boyce. Candlewick Press. The Washington Post released this list on November 13. The Parents' Choice Foundation released the Fall 2012 award winners. Wow, this is quite the stellar list. 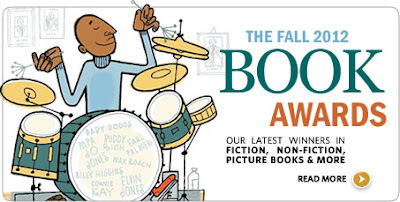 Congratulations to many of my favorite books. The National Science Teachers Association released the 2013 Outstanding Science Trade Books. 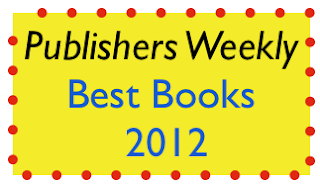 Congratulations to the books, authors, illustrators, editors, and publishers. Wowzers! The New York Times put together quite the list. Be sure to read these picture books, middle grade and young adult fiction and nonfiction selections. 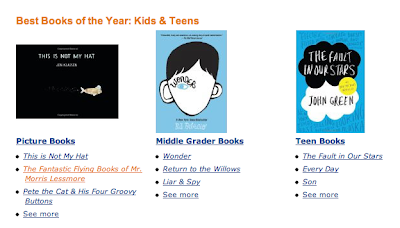 School Library Journal put together an amazing Best Books list. Head on over to your local independent bookshop to pick up these gems. The New York Public Library selected 100 Titles for Reading and Sharing. How many of these 2012 graphic novels have you read? 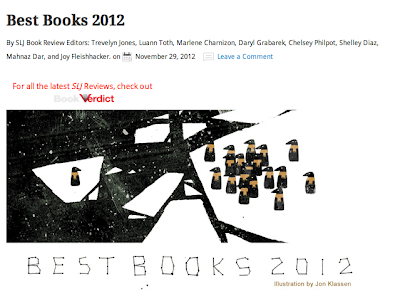 Take a look at Booklist Editors' Choice: Books for Youth, 2012. 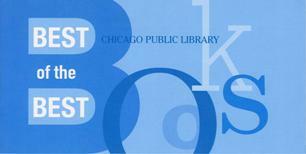 Chicago Public Library recommends these books. Thank you for curating all these lists, Mr.Schu. Better them all, every amazing book must be covered. Phew! Thank you for curating all of these lists, Mr.Schu. With such an extensive collection, I have faith that no "best" book has been left behind. Phew! Not surprised, Mr Schu! You have a longlist of all list:) Makes life easier for us! Thanks! Great resource, whatever you call it! Thank you.